LUX Island Resorts – the new name for Naiade Resorts have unveiled a a whole new brand change and what they hope is a new concept in resort holidays. 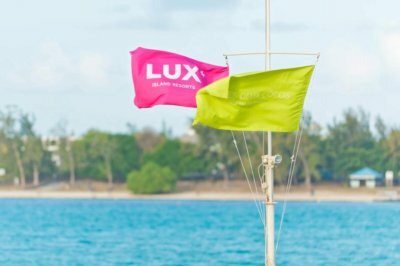 After rehearsing and preparing for nearly a year, LUX Island Resorts is launching with the slogan *Lighter.Brighter – and their new concept of a Island Light, a lighter, brighter, less complicated island holiday experience. The teams from the Mauritius resorts previously Legends, Beau Rivage and Les Pavillons now known as LUX Grand Gaube, LUX Belle Mare and LUX Le Morne have undergone extensive training programs designed to enhance service and rejig their attitude towards working for the new LUX Island Resorts brand. A focus on doing the basic things right – LUX Island Resorts is chasing simpler, more relaxed level of individual luxury. Below are the 3 videos of the Mauritius resorts that LUX has created for its new branding marketing push. Check them out and see what you think ! Let us know your thoughts below ! Use our Twitter and Facebook buttons to share this post with your friends !